Throughout the U.S., cold snaps are hitting homeowners hard this winter with temperatures dipping down well below zero in many regions. The sudden freeze and thaw caused by conditions like a polar vortex can cause massive rooftop issues for homeowners who aren’t prepared. That’s because ice dams can occur when roof temperatures fluctuate, falling below and rising above freezing. Rooftop ice dams can result in costly maintenance issues and wreak havoc on a roof’s longevity and durability. When ice dams form near roof soffits, gutters and overhang areas, many homeowners blame faulty gutters, but the problem is more complex than that. Uneven rooftop temperatures are the real culprit, causing snow and ice to melt and then refreeze near roof soffits and edges, which do not get as warm. Ice dams build up as the water freezes and re-freezes, and with nowhere else to go, melting water can begin to back up and leak into the home, potentially leading to damaged walls, ceilings and expensive mold issues. While no roof is completely immune to ice dam issues, a quality metal roof is nearly impervious to water and can last 50 years and longer without ever needing to be replaced even in extreme weather conditions. They are also strong and can withstand heavy ice and snow loads. Today’s metal roofs also have plenty of high-tech features such as special coatings that help control temperatures and they are proven to be more energy efficient, helping reduce wintertime utility bill costs while offering maximum protection for homes. 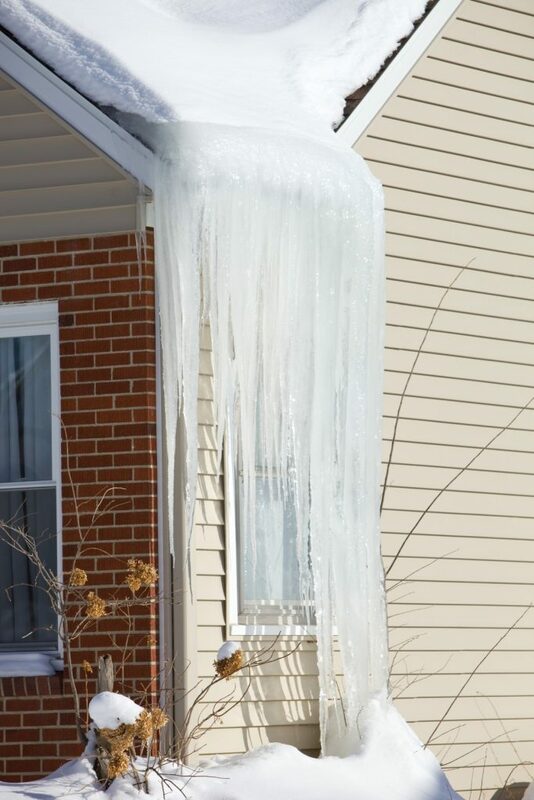 Metal can help reduce the risk of ice dams, but without proper insulation, any roof can be subject to ice dam formation. Check building codes in your area and make sure your insulation meets or exceeds standards. If heavy snow, rain and ice are a common occurrence in your region, check with your installer about ice and water shields and waterproof underlayment as extra protection against water intrusion. It’s important to have proper air flow and ventilation in all seasons. Good eve and ridge ventilation systems and even gable end vents help maintain consistent roof temperatures, no matter what the roofing material type. Make sure that warm interior air is not allowed to pass into attic spaces, which can cause roof temperatures to raise. Seal all ceiling openings and leaks by using caulk or foam insulation around wiring, plumbing, light fixture, exhaust fan openings and more. Again, proper insulation also is essential for helping maintain consistent temperatures. Remember, chipping away at iced up gutters and eves does nothing to stop ice dams and can cause even more damage to your roof. It’s extremely dangerous to get on ladders or on top of roofs without proper safety precautions, especially in inclement weather. A better course of action is to keep in mind the old saying: An ounce of rooftop prevention is worth a pound of cure. 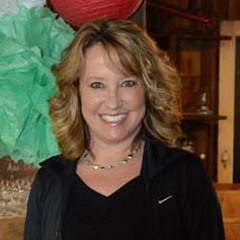 “With quality metal roofing material and installation, a metal roofing system is designed to perform beautifully in all seasons and help protect a home from expensive problems caused by severe weather, both now and down the road,” said Renee Ramey, executive director of Metal Roofing Alliance. For a “bulletproof roof” for all seasons trust the metal roof pros at Classic Metal Roofs, LLC. Our own employees will install “the best roof under the sun” on your home. Call today for a free estimate in MA, CT, RI and southern New Hampshire.